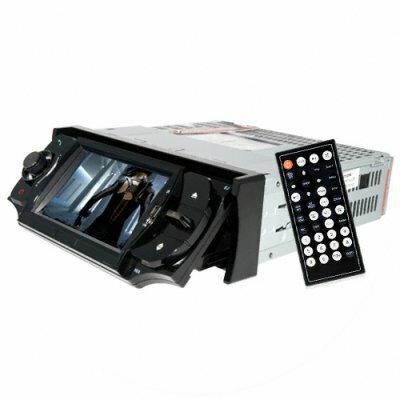 Successfully Added Complete Car DVD Media Player - 1 Din - Black Trim to your Shopping Cart. Single Din car DVD media player with so many features, it can be called a complete car entertainment system. Just some of the outstanding features include the touch screen function with multiple intuitive and useful sub menus, available from the sub woofer IN, USB port allowing incredible touch screen control of digital media and music, a built in Analog TV tuner, embedded Bluetooth technology for paring with phones and including touch screen dialing and a MIC IN, a detachable front panel for car safety with an included hard storage case, and the list goes on and on. This is one of the best Car DVD multipurpose touchscreen players you could ever buy, and is available at only a fraction of the price you would ever expect from a system that offers so much..